AUB is celebrating not just a distinguished past, but a promising future. Some of the groundbreaking work being done by AUB’s faculty today. The Darwazah Center’s Innovation Contest has been making an impact since its launch in 2014. Through the contest, the Darwazah Center for Innovation Management and Entrepreneurship has been helping students from all faculties and schools at AUB to realize their vision of launching a startup and to develop their ideas into sustainable business models. The contest has become a much-anticipated event in the University and beyond, as students with promising ideas are given the chance to develop their ideas into businesses. In 2015, the contest winner was MoodFit, an internet-based crowdsourcing interior design service that seeks to link designers with customers and suppliers. After winning the contest, these budding entrepreneurs were able to raise almost $30,000 in additional funding and were aselected for mentorship by UK Lebanon TechHub. They also won second place in the contest of SeedStars Beirut, and were identified as one of Executive Magazine’s Top 20 Entrepreneurs in Lebanon for 2015. They are slated to raise additional money from two strategic investors to fuel their expansion in the coming year. Analytics management can save hundreds of millions of dollars, increase users’ take-ups, and create a culture of transparency through the delivery of improved public electronic services for the sustainable growth of shared-values. Dr. Ibrahim H. Osman, professor and Husni Sawwaf Chair in Business and Management at the Olayan School of Business, has been co-leading two internationally-funded projects to improve the delivery of electronic government services from the perspectives of stakeholders (users, providers’ agencies, and top policy makers) in collaboration with academics and professional partners from universities and government agencies in Qatar, Lebanon, Turkey, and the UK. The group has developed a “cognitive analytics management” framework and has generated applied insights and policy recommendations in Turkey that significantly increased the users’ take-ups by more 270%; generated an annual savings of more than $520 million per year; added more than 1200 e-services to close the digital divide between urban and rural areas; and achieved a return on research investment of 1000 times per year. Dr. Osman is diligently working to cultivate a similar untapped potential in Lebanon. FHS’ scholarly and network efforts are helping to change the discourse on health in the region and mobilize communities for a new public health that is evidence-based, collaborative, and more socially engaged. 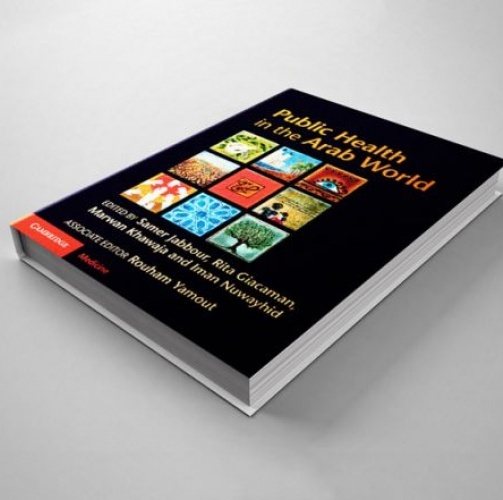 Recognizing a significant gap in the literature on health in the region, FHS led an international effort that culminated in the first comprehensive academic book on Public Health in the Arab World (Cambridge University Press, 2012) later translated by the WHO into Arabic (2013). FHS led a follow-up international scholarly collaboration on health in light of the uprisings and ongoing change in the region. The result was a special issue of The Lancet on Health in the Arab world: a view from within (January 2014). In parallel to scholarly work, FHS has also invested in building regional and international research, practice, and institutional networks. These initiatives include the Reproductive Health Working Group (www.rhwg.org); the Choices and Challenges in Changing Childbirth (www.aub.edu.lb/fhs/cccc) network; the Network of Arab Scholars on Sexuality and Sexual Health (www.nasssnetwork.org); and EMRAIN, a network of academic public health institutions in the Eastern Mediterranean region. Research done at the Faculty of Health Sciences, led by Dr. Lillian Ghandour, has found a substantial increase between 2005 and 2011 in alcohol drinking and drunkenness among 13-15 year olds in Lebanon. Research found that an estimated 1 out of 20 middle school students experienced alcohol-related problems in 2011, and found prevalent and regular alcohol drinking among high school and university students in Lebanon. 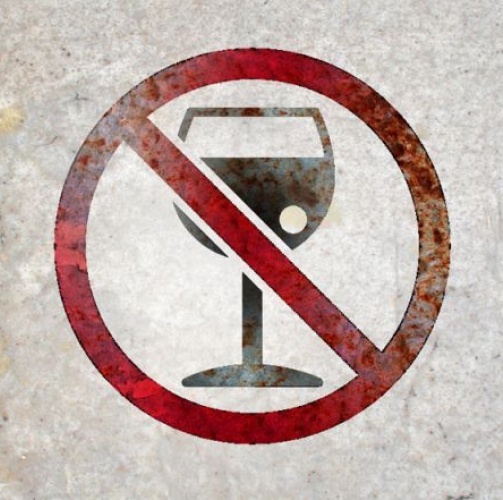 Reasons for underage drinking are numerous, but the absence of an environment that supports good choices undermines all other educational efforts aimed at protecting youth from heavy drinking and its harms. In an ongoing effort to translate research into evidence-based policies and practices, Dr. Ghandour has been leading a research endeavor since 2013 aimed at triangulating existing evidence and generating new data to help inform the development of a national alcohol harm reduction policy. Working with an interdisciplinary team of researchers at AUB, and engaging multiple stakeholders, the proposed evidence-based policy would be in line with the global WHO strategy to strengthen national responses in reducing alcohol-related harms. The Food Security Program at FAFS is the first interdisciplinary, graduate-level academic program in food security in the region. 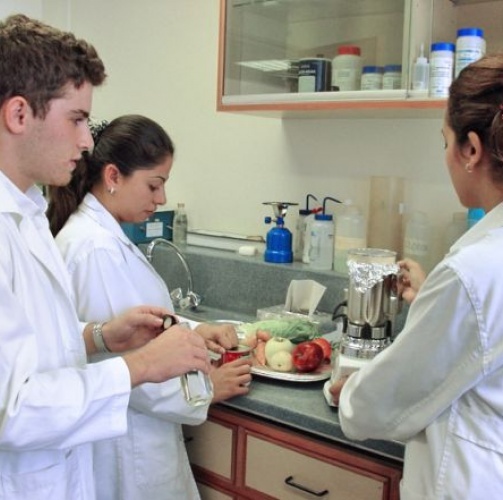 It was launched in 2015, following years of sustained effort and development by faculty members and staff at the Faculty of Agricultural and Food Sciences and elsewhere across AUB. This innovative program was conceived as a result of the 2007-08 global food crises, which saw food prices increase rapidly and dramatically, forcing millions into hunger and malnourishment and contributing to widespread civil unrest. Seeking to avoid such outcomes in the future, this pioneering program aims to promote food security through education, research, community action, and policy-oriented professional practice. The program pursues a holistic approach to the many aspects of food security, including nutritional health, agricultural production, economic development, environmental sustainability, and socio-cultural considerations. 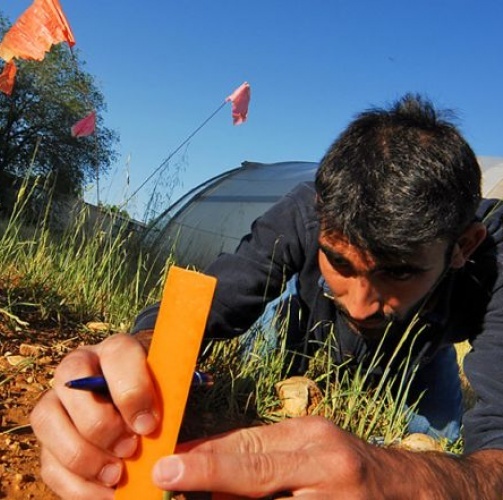 The Food Security Program is educating a new generation of leaders in the Middle East and North Africa and throughout the Arab world, preparing graduates to address the vital issue of food security in an interdisciplinary and hands-on fashion. The story of the co-founders of the Networking and Security Group (netsecresearch.org) at AUB and the startup SAUGO 360 (saugo360.com) goes back more than 12 years. It started as a research collaboration between Dr. Ali Chehab and Dr. Ayman Kayssi, who were joined later by Dr. Imad Elhajj. These three faculty members in the Department of Electrical and Computer Engineering could not be more different in terms of research approach, teaching styles, mentoring, personalities, and views on almost everything. However, they have been able to turn this to their advantage and the advantage of their students. 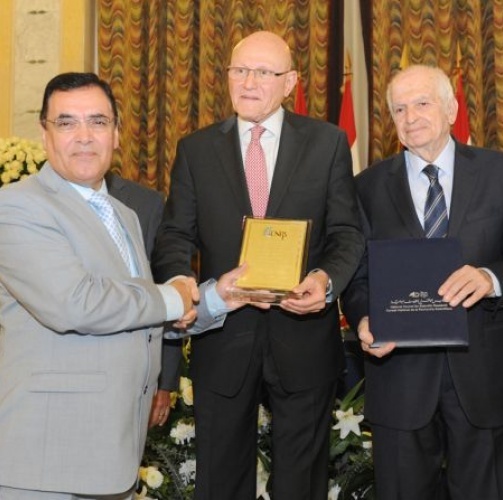 All three have won the Teaching Excellence Award at AUB at different times and have a proven track record of research productivity, grant funding, and publications, as well as mentoring undergraduate and graduate students. Most recently, the team was able to secure substantial funding from TELUS Corp. in Canada to establish the startup company SAUGO 360. 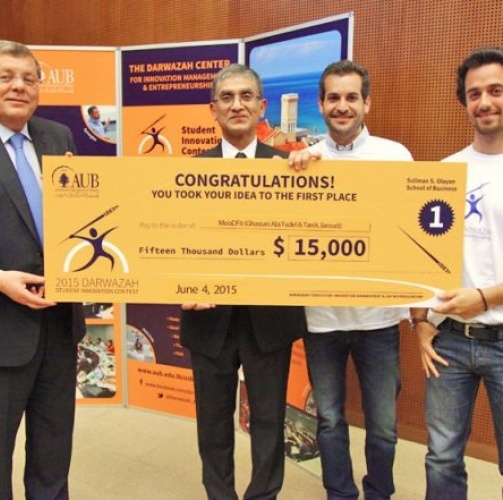 The company currently employs seven full-time engineers, all AUB graduates, and has had several AUB student interns. The company is developing state-of-the-art telecommunication software solutions with great potential to compete with major high-tech companies worldwide. 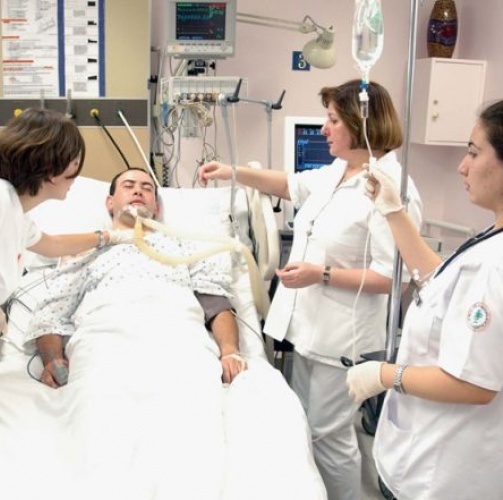 Studies in the field of pain relief and palliative care at the Hariri School of Nursing have resulted in shaping policy within Lebanon and making contributions to the field globally. Leading this charge has been Dr. Huda Huijer, a pioneering researcher in the field of pain relief and palliative care. 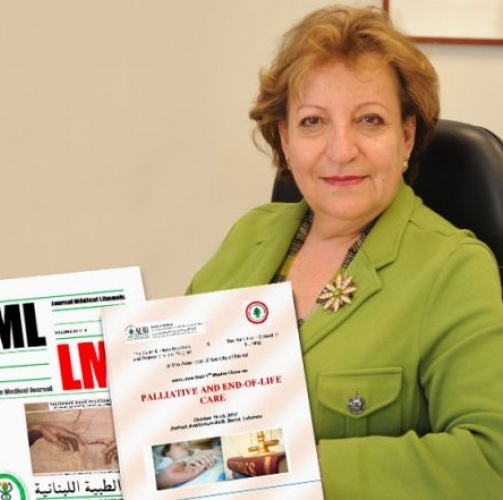 Since her relocation to Lebanon, she was instrumental in writing the mandate on pain relief and palliative care which has led to major changes in the field at the national level and to the establishment of health care policy leading to the recognition of palliative care as a regular field of health care in the country. The mandate focuses on five areas in palliative care: education, practice, research, public policy, and opioid accessibility. HSON is also contributing to the Harvard/Lancet Commission on Global Access to Pain Relief and Palliative Care with a case report on evidence building and palliative care research in Lebanon written by Dr. Huijer. Two of the HSON graduates in this field, Rebecca El Asmar and Janane Hanna, continue to provide excellent care to palliative care patients and their families. 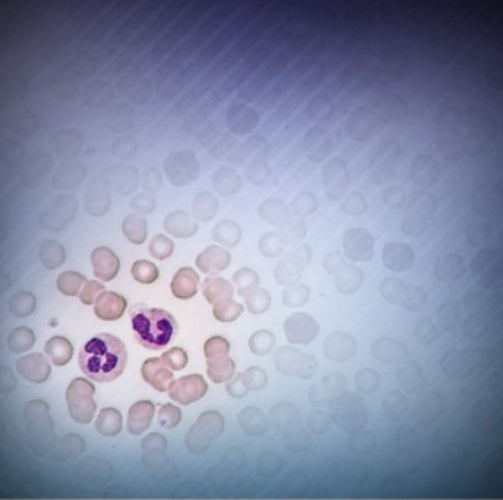 Today, medical oncologists worldwide are treating adult T-cell leukemia (ATL), a lymphoproliferative disorder secondary to a retroviral infection, based on a set of guidelines presented by AUBMC researchers. Pioneering targeted therapy of ATL, Dr. Ali Bazarbachi at AUBMC discovered a very effective treatment using the combination of the antiviral agents zidovudine (AZT) and interferon alpha (IFN) (The New England Journal of Medicine, 1995, Lancet Oncology, 2004). The impact of this innovative treatment strategy on long-term survival was assessed in a worldwide meta-analysis, where they proved that antiviral therapy dramatically improved survival of ATL patients (Journal of Clinical Oncology, 2010). Based on these results, antiviral therapy has become the standard treatment of ATL. 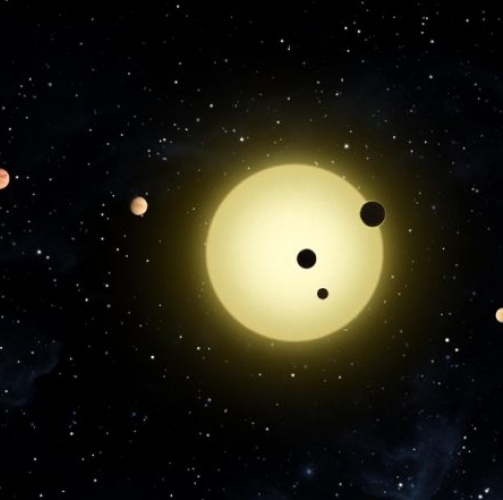 The investigation went further to include the effect of arsenic trioxide on ATL. In a preclinical model, they demonstrated that the arsenic/IFN combination cures tax-driven murine ATL through specific targeting of ATL stem cells (The Journal of Experimental Medicine, 2010). Moving to clinical trials, they reported an unprecedented 100% response rate in chronic ATL patients with a triple combination of arsenic, IFN and AZT (Blood, 2009). A new initiative from FAS reinforces AUB’s commitment to theater as a key aspect of the academic experience. 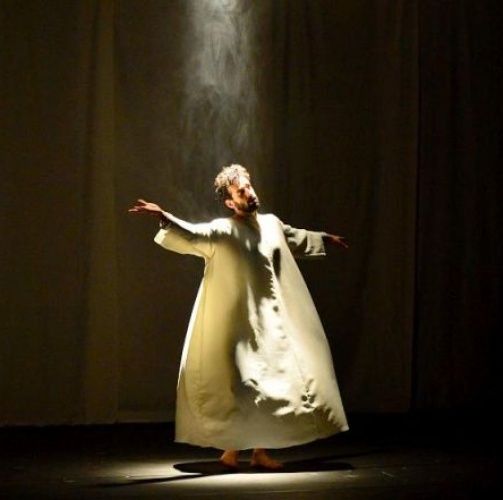 The recently approved Theater Initiative at AUB will bring together performance-related courses, activities, and events occurring at the University. This interdisciplinary initiative will improve training and teaching in the theory and practice of performance, promote and support research about and archiving of cultural production, especially from this region, and integrate theater into science, humanities and medicine courses. Sahar Assaf, assistant professor of Theater, and Robert Myers, professor of English and Creative Writing, have parallel careers as theater artists. They are working together to promote performance at AUB and to place AUB as a major player in the international theater scene. In the future, their hope is to offer professional degrees and certificates related to theater and performance and to establish state-of-the-art performance spaces, currently lacking at AUB. They believe strongly that the study and practice of theater has enormous potential to provide vital outlets for the creativity of young people from this part of the world and to enrich their academic experience and career training regardless of the professions in which they ultimately work.